Based on the integrated perspectives of Generation Differences (GD) and Intergenerational Influences (IGI), this chapter explores the attitudes of China's consumers towards a time-honored brand. A survey study on 2,083 subjects from four cities of China using a door-to-door questionnaire was conducted in two phases (2007 and 2009). The results indicate a decline in the evaluation of trust and commitment down the generations and a significant difference between the old and the young generations, especially in commitment evaluation. The results also show that in consumer behavior of Chinese city households influence on the parents from children is more significant and pronounced than influence on children from parents. This influence weakens rather than strengthens the commitment effect caused by the parents' trust in time-honored brands. The theoretical contributions and managerial implications are discussed. Against a backdrop of China’s rapid economic development and social transformation, a major benchmark for consumption trends and changes in consumption values is generation differences (GD). It is an issue well-studied internationally, involving comparisons between the older generation and Generation X (Yang, Zhou and Chen, 2005), fundamental differences between Generation Y, successor to Generation X, in China and its Western counterpart (McEwen, et al., 2006), comparisons between Generation X and the mass market (Zhang, 2005), and comparison and analysis of China’s consumers of several different generations (Wei, 1997; Dou, Wang and Zhou, 2006). These studies have been instrumental in understanding the changes in China’s consumer behavior, capturing emerging market opportunities and tackling challenges in management. Apart from generation differences and changes in consumption behavior, one other thing worth attention is the occurrence of intergenerational influences and transfer. As China is the country with the highest long-term orientation index (Hofstede, 2001: 356-360), holding over of attitudes and values through the generations is expected to be more intense than in the west (He, 2008; Cai and He, 2012). This perspective of study is known as “intergenerational influences (IGI)”. Although most researchers around the world have focused on influence on the younger generation, as early as Miller (1975) has pointed out that IGI is reciprocal and influence on the older generation should not be overlooked. In fact IGI can be in reverse direction or concurrently in both directions (Moschis, 1988; Whitbeck and Gecas, 1988). In emerging markets such as China which the economy and society have transformed largely after the reform and open policy, it is worth to pay special attention on the importance of reverse IGI. In regarding to the Chinese time-honored brands, which were passed down by generations, usually they have distinct traditional cultural backgrounds and profound cultural prestige, and achieve their reputations by word of month. Hence, intergenerational influences and transfer is a basic research perspective for them. My previous study has shown that some brand relationship qualities are still dominated by the older generation, that is, the older generation exerts a stronger influence (He, 2008). These relationship qualities, such as trust, are still a major component of the brand equity of time-honored brands. Other relationship qualities such as commitment, are dominated by the younger generation, that is, the younger generation exerts a stronger influence. For this reason, the brand equity of such time-honored brands is eroding as discontinuity of transfer from parents, or as reverse influence accelerates the decline of the brand equity of time-honored brands. In consideration of the above, and in addition to a previous qualitative study (He, 2008), I adopt quantitative method in this chapter. From the integrated innovative perspectives of generation differences (GD) and intergenerational influences (IGI), attitudes of China’s consumers towards time-honored brand are explored. 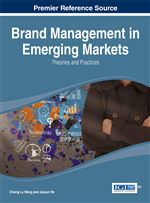 The findings can be used to reveal the decline of the time-honored brands and thus put forward the fundamental managerial implications for the revitalization of them. In particular, the objective of this chapter is twofold: From the perspective of GD, is there any difference in attitudes towards time-honored brands? Has there been a decline in evaluation across generations as seen in results of previous qualitative study, namely, the evaluation from younger generation is worse than that of older generation (He, 2008)? From the perspective of IGI, is there moderating effect in the relationship between trust and commitment by influence on the younger generation from parents or influence on the older generation from children? When read together with previous qualitative study (He, 2008), is there a negative moderating effect by influence on the older generation from children in the relationship between trust and commitment?